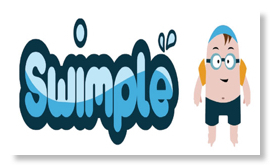 Swimple retail website launches with a splash! www.Swimple.co.uk, a new retail website from United Pool Retailers Online Ltd (UniPRO) has been launched to provide swimming pool and hot tub owners with industry wide products, advice and support from experts. “It is important retailers change the shape of their business to respond to the demands of consumer purchasing patterns,” says Amy Goodall of UniPRO, “Offering customers a choice of how they can buy is vital. “The recession has been tough for many businesses but we’re confident our online shop will help local businesses to thrive,” said Amy.